Agility World established since 2004, has grown from strength to strength and has now become one of the leading suppliers in the dog agility market. We currently supply Salomon Trail Running shoes, the shoe of choice for any agility enthusiast! 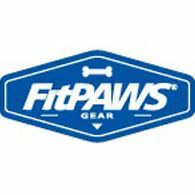 Canine Back on Track clothing, Dog Copenhagen Harnesses, Pomppa Dog Coats plus a whole lot more. Or visit our trade stand which can be found throughout the year at KC, UKA and unaffiliated dog agility shows. Why not check our social media posts for a full list of shows and come and meet our friendly, knowledgeable team in 2019! Should you need any help or guidance buying a product, please Contact Us. Thank-you for visiting Agility World and we hope to see you at various events throughout the coming year.